David will be reviewing the BenQ HT2050A and putting together some comments about how the Epson and BenQ both stack up relative to the cheaper models in the eight way shootout. Meanwhile, for info on the Epson 2150, you can check out the shootout between the Epson 2150 vs. the Optoma HD39Darbee that he did in November. On the 4K projector front, the new LG Electronics HU80KA is scheduled to arrive next week. We know very little about this unit at this point, and we'll fill in the specs when we get them. The ViewSonic PX747-4K is supposed to arrive this week. This is a brighter version of the outstanding PX727-4K. Both of these models are priced at a mere $1299 with 3-year warranties included, so they are leading the industry in aggressively priced 4K projection. What are the differences between the PX727 and PX747 you ask? Basically they are the same projector, but the PX727 has an RGBRGB color wheel, and the PX747-4K has a different color wheel that allows for higher lumen output. We are anxious to see what sort of trade-offs that wheel provides. Btw, we've also got a third 4K home theater projector arriving this week that is not yet officially announced, but we will publish that info when we are allowed to do so. "We are anxious to see what sort of trade-offs that wheel provides." So are we! Also, I'm weighing heavily on one of these 2 viewsonics vs a 1080p Sony with 3D...not much 3D in my collection but still want to leave options open; would 4K be the better bet for future? Ready player one in 3D! Keep it up Evan and Team. 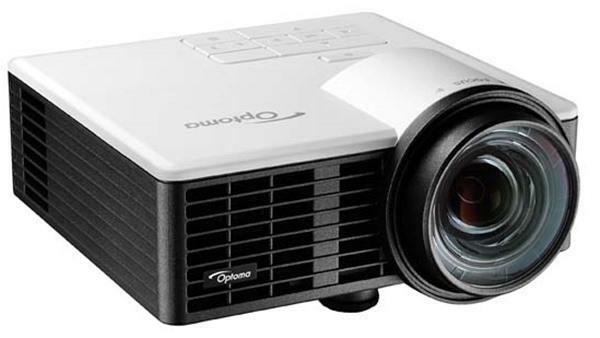 Are you planning to do a comparison of the different low-end 4K projectors? That would be really helpful! Thanks! Ari, yes, I'm working on a variety of comparative pieces. The first one will discuss visible differences in resolution. Hi, just wondering if there is any news as to when Panasonic may be releasing a 4K projector with auto lens memory for the home? They have been largely quite on this front. @ John ... there is no indication that Panasonic will come out with a new home theater product. That group has been disbanded. I am wondering why Epson is so quiet these days?..are they planning any new 4k projectors after 5040/6040/4000 ?